West Coast Canning is always looking for people to join our rapidly growing team! 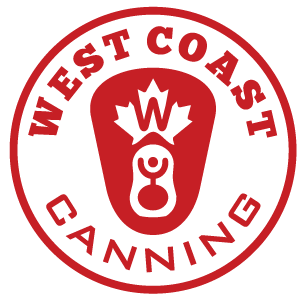 West Coast Canning was founded in 2013 as Canada’s first mobile canning company. Since then, we’ve expanded to keep up with the craft beverage industry and now provide full-service packaging solutions including mobile canning, shrink sleeving, aluminum cans, design services and more. We work with lots of great breweries, cideries, distilleries and wineries with a mission to provide the best services possible to our customers across North America. We want WCC to be just as awesome of a place to work as the beverages we’re helping pack. When you join us you’re part of a collaborative, fun-loving and dedicated team in an awesome industry. As our Accounts Receivable Administrator you would work closely with the rest of the Accounting Team and Director of Operations in our Vancouver, BC facility. The ideal candidate is someone who brings a positive and energetic attitude to work everyday, possesses a high-level of attention to detail, is able to provide their favourite joke in their cover letter and who is excited to be part of a team! Our staff is the heart of what we do, and we love to take care of them and have fun together with regular extra curricular activities, bring some ideas along! West Coast Canning started in 2013 as Canada’s first mobile canning company. Since then, we’ve done a lot of growing to keep up with the craft beverage industry and we now provide full-service packaging solutions including mobile canning, shrink sleeving, aluminum cans, design services and more. We work with lots of great breweries, cideries, distilleries and wineries with a mission to provide the best services possible to our customers across North America. We want WCC to be just as awesome of a place to work as the beverages we’re helping pack. When you join us you’re part of a collaborative, fun-loving and dedicated team in an awesome industry. Our Canning Line Leads play an integral role for our mobile canning service, based out of our Vancouver, BC facility. What does a day in the life of a Canning Line Lead look like? The ideal candidate is someone who brings a positive and energetic attitude to work everyday, is excited to be part of a team, and has a passion for the craft beverage industry! We want WCC to be just as awesome of a place to work as the beverages we’re helping pack. When you join us you’re part of a collaborative, fun-loving and dedicated team in an awesome industry. Our Shrink Sleeve Technicians play a key role in supporting the Lead Shrink Sleeve Operator based out of our Vancouver, BC facility. This role is a full-time, seasonal role, ending in Fall 2019. What does a day in the life of a Shrink Sleeve Technician look like? We want WCC to be just as awesome of a place to work as the beverages we’re helping pack. When you join us you’re part of a collaborative, fun-loving and dedicated team in an awesome industry. Our Canning Line Technicians play a key role in supporting the Lead Canning Operator for our mobile canning service based out of our Vancouver, BC facility. This role is a full-time, seasonal role, ending in Fall 2019. What does a day in the life of a Canning Line Technician look like?